Rosina’s signature phrases to her family when ending a conversation or a phone call were: “Keep your eyes on Jesus” and/or “I love you and Jesus loves you too”. It was important to her to share the Lord’s love with her family and friends, and she loved sharing her faith with others. Rosa was known as “Rosina” to family and friends. Rosina was the name her dad wanted to give her but was not on the official list of names allowed on birth certificates in Belgium at the time, so it became her nickname. Rosina was born on February 20, 1935 in Brussels, Belgium. Close to the age of 5-years-old, around the time World War II started, Rosina and her parents moved to Torino, Italy. She described her father, Giulio, as a “very brave man” who was part of the Resistance and unflinchingly stood up to the Nazis time and again. Our mom would share her experiences of living through the war with us: She remembered vividly air raid sirens blaring when her mother, Clara, grabbed her by the hand to run to a shelter. They were separated and Rosina was mesmerized by the sight of the planes dropping their bombs “like chickens laying their eggs”. Her mother finally found her and led her to a shelter; they held each other and said their goodbyes while the city was being bombed. Her father was once in a car in which a bomb landed in the seat next to him (where Rosina herself had been sitting prior to the raid), but it didn’t explode; it was a dud and he survived. Rosina’s father was eventually arrested and sent to Sachsenhausen concentration camp in Germany. Her family miraculously ran into a fellow prisoner after the war who informed them that her father had died in the camp two days after the end of the war. Her father had said, “I don’t mind dying for the cause as long as I know we won the war,” and he did live long enough to see his dream realized. Rosina and her mother went to Germany to live with her aunt and remembered the “exhilaration” she felt when the war was over. Rosina was proud of her father for his bravery in fighting for what he believed in and giving up his life for it. Later, her mother, Clara, met Giorgio Orsini on a train to Italy and they eventually married. Giorgio adopted and raised Rosina. When Rosina was 20-years-old, she remembered the American soldiers—who were more respectful than the Russians and threw chocolates to the children—and wanted to go see this awesome country who produced these wonderful soldiers. A wealthy woman, who also emigrated herself, sponsored Rosina’s passage to America on the Queen Mary. She paved the way for her parents to eventually join her in America. Rosina met and married David T. Shore in 1959 and they had 8 children. They had been married for over 58 years. Our mom, Rosina, was the toughest woman we knew! She was a very loving mom and wife, and would do anything in her power for us and for anyone else. She loved spending time with her family and being at family parties. 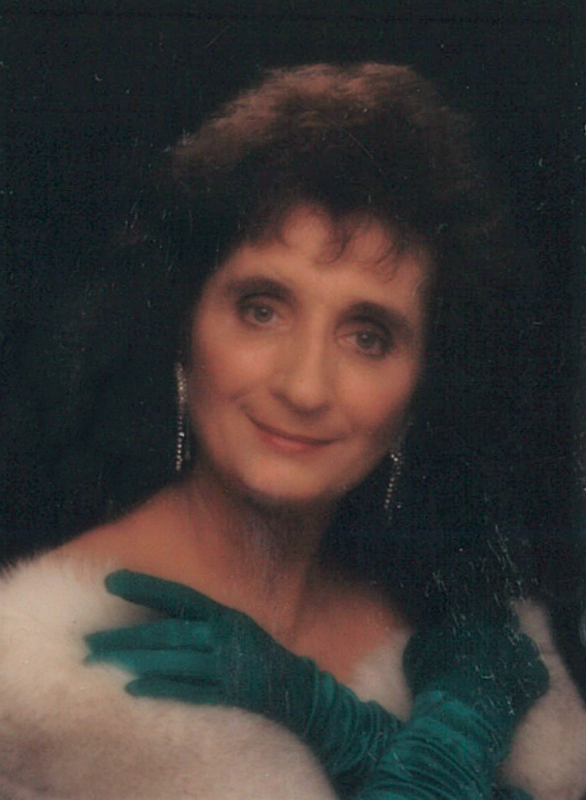 Rosina loved to go shopping and also enjoyed sculpting, painting, crocheting, gardening, interior decorating, attending the opera, and traveling throughout the years. She was fluent in 4 languages: Italian, French, English, and Spanish. Rosina loved her grandchildren and their company. She also loved animals and enjoyed the company of pets. Rosina was a substitute teacher in the Salt Lake City School District for over 25 years. She also taught French and Italian night classes. She modeled being a hard worker. Rosina was preceded in death by her father, Giulio Guerrini, her mother, Clara Orsini, and her father, Giorgio Orsini. She is survived by her loving husband, David T. Shore; her 8 children: David (Kathaleen), Jonathan (Maria), Michael (Judy), Gabriel, Anna Maria (Mark), Raphael, Elizabeth (Joey), and Timothy; 14 grandchildren and 1 great grandchild. A special thank you to the staff @ St. Joseph Villa, Intermountain Utah Dialysis, and University of Utah Hospital for all of their special care and services to Rosina. A funeral service will be held at City View Memoriam, 1001 11th Avenue, Salt Lake City, Utah 84103 on Saturday, April 15, 2017 @ 2:00 p.m. with a viewing one hour prior to service @ 1:00 p.m.